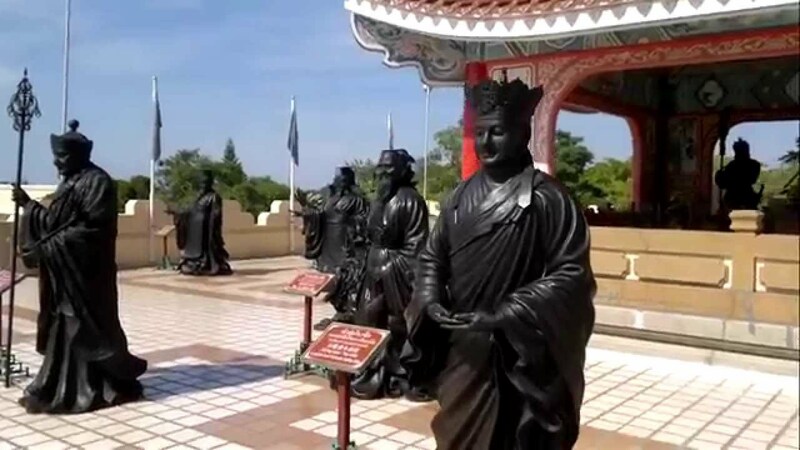 The Viharn Sien Chinese Temple and museum is located close to Buddha Mountain and the Silverlake Vineyard. It was built in 1987 to celebrate the 60th birthday of King Bhumibhol. The “Chinese” temple is actually not a temple but is a museum with many artefacts from China including pottery dating back 3000 years. It is also one of the few places in the world to house some of the original terracotta army, donated by China. It is in the grounds of the Wat Yansangwararam Temple which is still a functioning Buddhist temple. It is very close to Buddha Mountain and the Silverlake Vineyard so you can easily visit all three in an afternoon. Female driver taxi service to Chinese Temple, Silverlake and Buddha Mountain. Click the banner below.